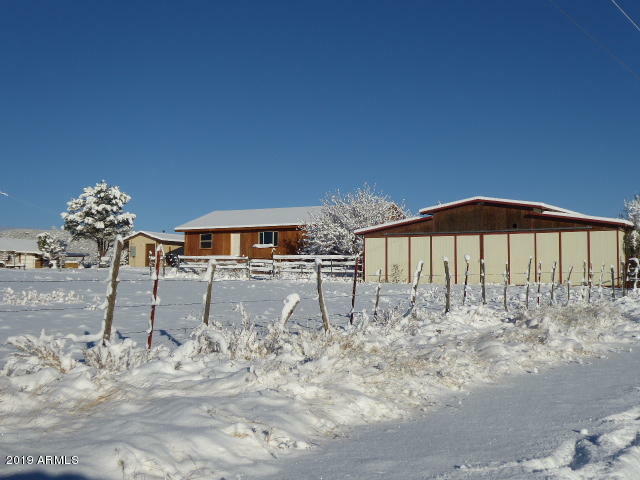 All Young homes currently listed for sale in Young as of 04/25/2019 are shown below. You can change the search criteria at any time by pressing the 'Change Search' button below. If you have any questions or you would like more information about any Young homes for sale or other Young real estate, please contact us and one of our knowledgeable Young REALTORS® would be pleased to assist you. "Remote Luxury! 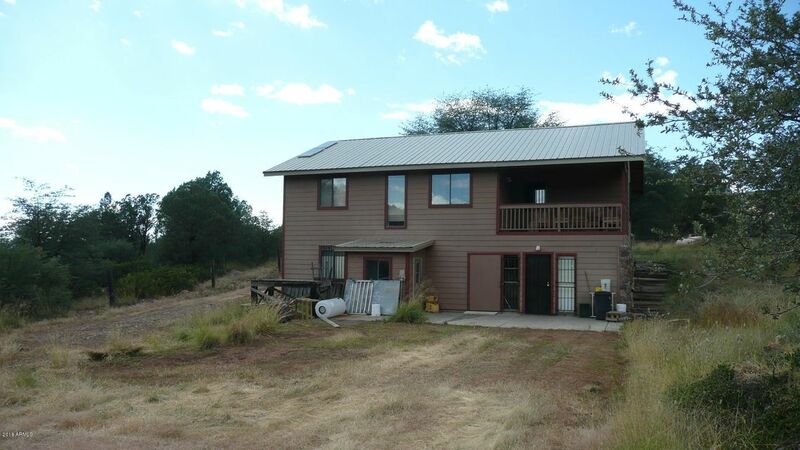 Get away from it all in style and comfort at this hunters paradise! 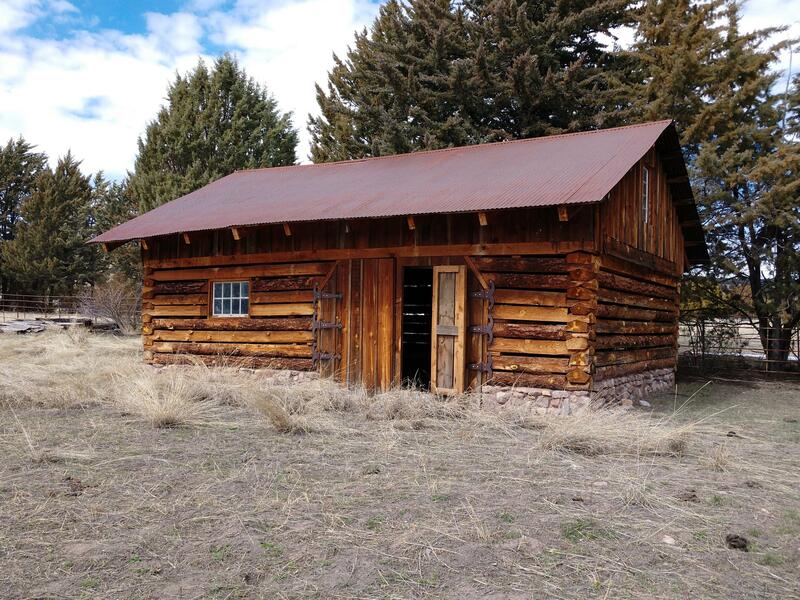 The Pioneer Log Cabin is located on 4.5 acres in the high pines near Young AZ. 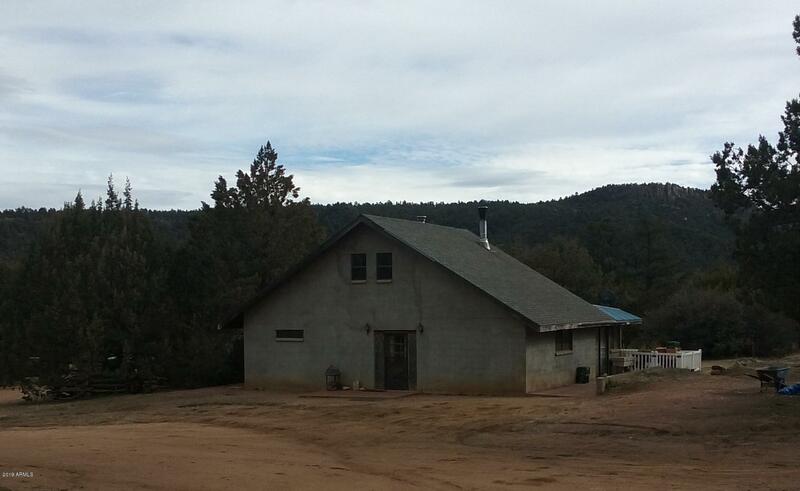 Right in the heart of Unit #23, 7 miles from Pleasant Valley airstrip and backs Tonto National Forest! The property has creek frontage on year-round trout-filled Haigler Creek!There's plenty of room for entertaining family and friends with a tri-level open floorplan and wrap-around deck! The top floor boasts the master bedroom, full bat"
"ONE OF ARIZONA'S MOST UNIQUE LODGING EXPERIENCES. 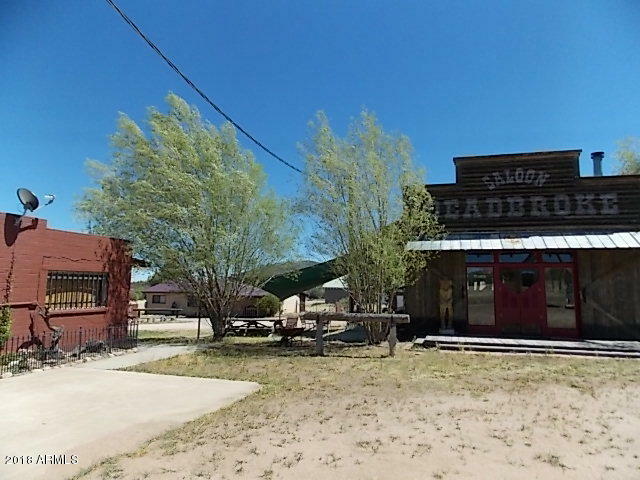 THIS PROFITABLE BUSINESS INCLUDES, 3 BEDROOM 2 BATH MAIN HOUSE, 1 BEDROOM 1 BATH GUEST HOUSE, A BUNK HOUSE WITH 2 BEDROOMS, A LOFT, 1/2 BATH WITH SHOWER ROOM, LARGE LIVING AREA, COOKING FACILITIES, A 1800'S SALOON REPLICA, AND BELIEVE IT OR NOT A SHOOTING GALLERY. 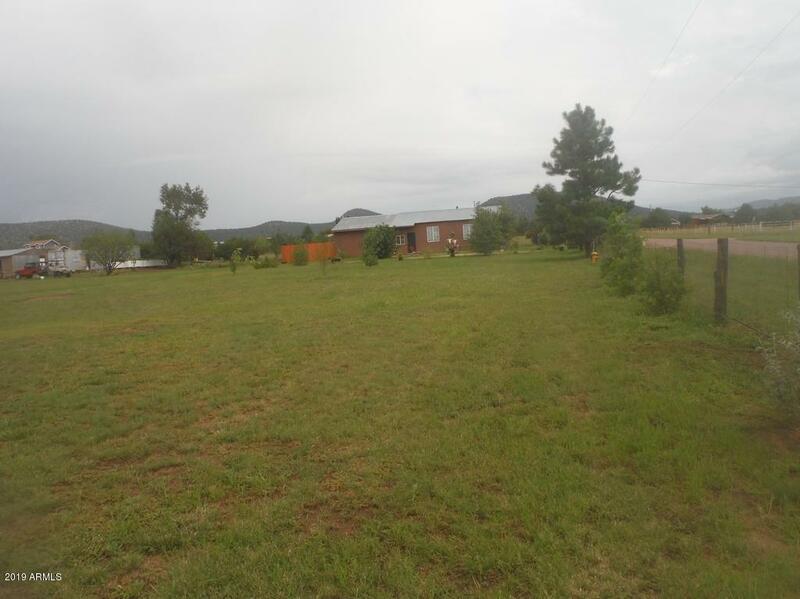 ALSO ON THE PROPERTY IS A BARN/GARAGE/TACK ROOM, WITH A ROUND PEN FOR YOUR HORSES AND A LIGHTED ARENA AREA, ALL LOCATED IN THE HISTORIC COMMUINITY OF YOUNG, AZ. SELLER FINANCING IS "
"Bring an offer! The ride of your life! 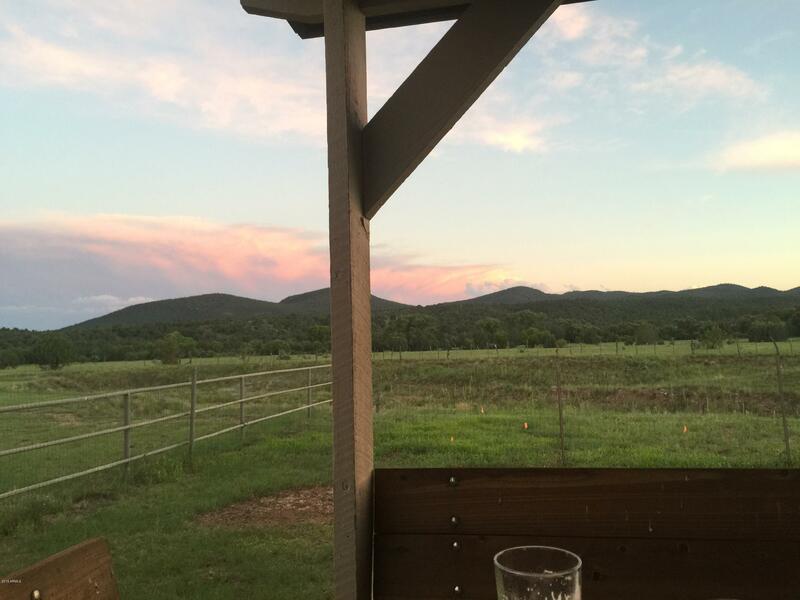 Nestled next to the National Forest, you have miles of trail riding and beautiful scenery. Your beautiful, 20acre horse property has an amazing custom American made MD barn and attached 2 bedroom, 1 bath living quarters. Your new home has moisture barrier flooring to insulate from cold, dual pane windows ,RO drinking water, JennAire cooktop, central heat and AC. 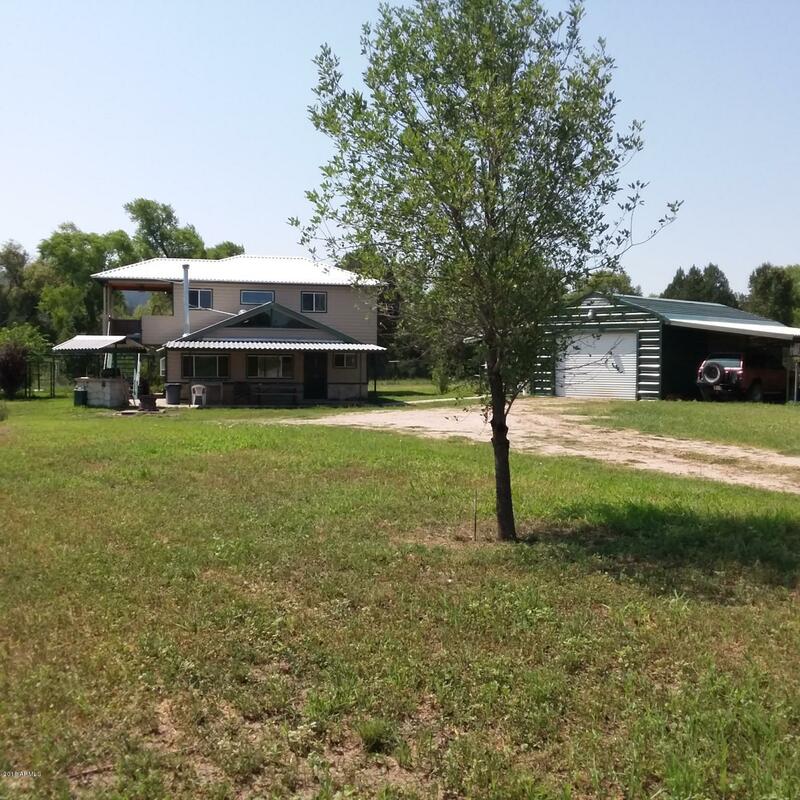 Plenty of storage with large walk-in, well lit closets and ample space in the kitchen cabinets a"
"Eclectic 5 bedroom 2 bath home on 2.5 acres. Ideal family get-a-way. Extra large family/game room with fireplace and wood burning stove. Large garden area. Fruit trees grape vines. New septic system. This property also has 5 RV sites. Could make a nice bed and breafast. You must see to appreciate." "FINE COUNTRY LIVING near US Forest Service land and spring-fed, trout-stocked Haigler Creek where wildlife abounds!! Site built home constructed in 2000 with vaulted ceiling and open floorplan. Spacious master bedroom easily accomodates a king size bed and has private entrance / exit. Sellers added styrafoam insulation in walls and re-sided with new stained wood fiber siding. R-19 fiberglass bat insulation underneath the floor and more insulation put in the attic to minimize heating and coolin"
"Beautiful 12.6 acres bordering Cherry Creek. With a 1 bedroom 1 bath unfinished cabin. Power service already installed. Well with solar pump and two 5000 gallon water storage tanks. Property also boasts a 20' by 30' log barn, and the historic Al Rose cabin from the late 1800's. This is a one of a kind property. don't miss out on this one." 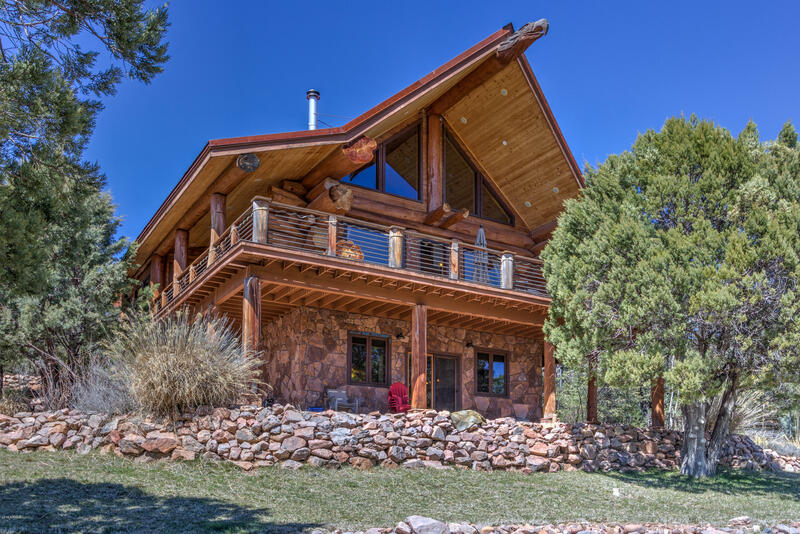 "SOLIDLY CONSTRUCTED from STEEL BUILDING MATERIALS and finished off beautifully inside and out! Historic 175-year old TNG wood flooring & distressed pine paneling in loft. Covered patio at front entry measures 26' X 11'. Full length east patio has built-in covered propane gas barbecue. Loft opens to covered 15'X10' Trex deck porch. Built for year-round, 4-season enjoyment with American Standard heat pump with 5-ton capacity A/C. 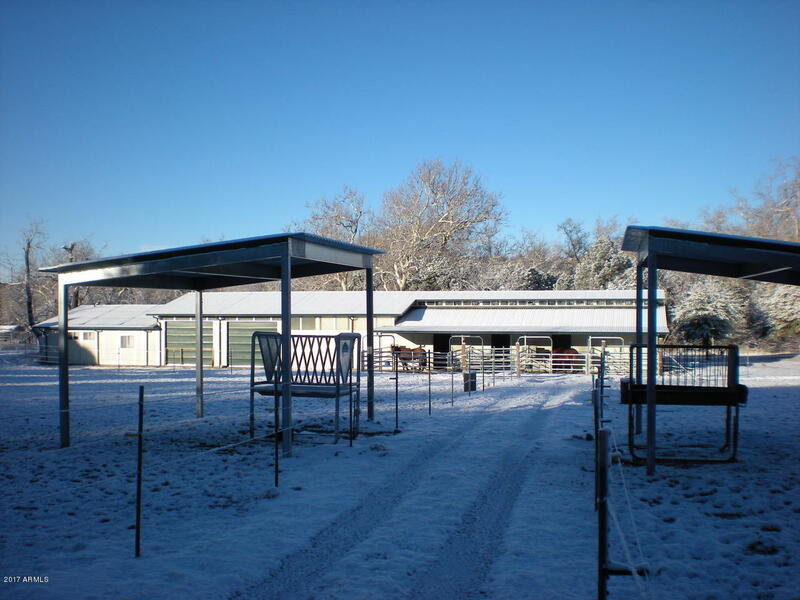 Steel workshop / garage measures 18' X 30' with 14-ft wide carport o"
"This charming house is beautifully set on a property with mature Juniper trees in the front, offering privacy and a gorgeous view of the mountains in the back (South). The property has several gardens with Roses, Snapdragons, Iris, Lilac, Japanese Honeysuckle, Sage, Rosemary, Basil, Malabar Spinach, Raspberries, Blackberries, mature fruit trees, and maple trees that display vibrant colors in the fall and provide amazing shade in the summer. The shop is approx 13 x 20 with a 7' roll up door, w/"
"This 4.2 acre property borders forest Service in 2 sides. 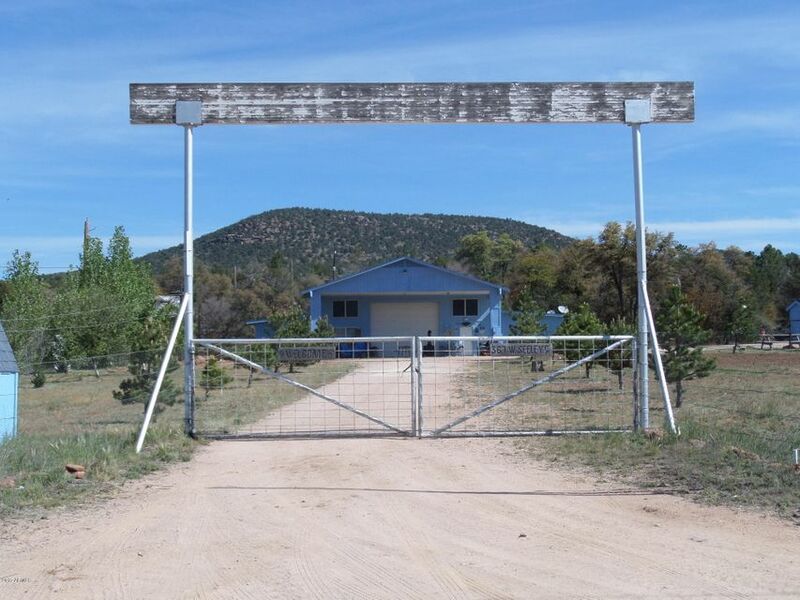 With 2 bedrooms and 1 1/2 baths, large Arizona room, detached 20 x 22 metal barn, large water storage tanks, solar panels, generator, this off the grid property is a great find. Don't miss out on this one." 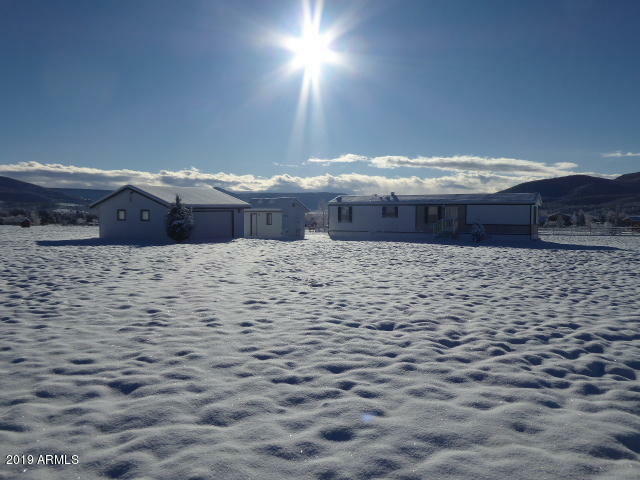 "Very well maintained 3 bedroom 2 bath manufactured home with block stem wall. Very nice front and side covered porches. Great elevated deck on the rear of the home with great views of Pleasant Valley. Split floor plan, large great room with wood burning fireplace. Spacious kitchen and dinette area. All electric with central air and heat. Matching detached garage. Must be cash, VA or conventional loan"
"SPACIOUS 2/BR/1BA 1824SF FARM HOME ON 2 FENCED ACRES with 10' ceilings, a great room and a loft! No restrictions, no CC&Rs, no HOA. Nearly level land with excellent drainage. More than 20 fruit & nut trees, including apple, peach, pear, black walnut, mulberries, black berries, raspberries, almond; there are several established raised bed gardening containers and the home enjoys a 24'x7' pantry for the self-reliant. Warm the entire home with an antique Home Comfort cook/wood stove (the home als"
"MAKE THIS HOME UNIQUELY YOURS! Solidly-built 2018 structure has Ballard engineered trusses, 8'' LPI floor joists on triple 2X10s over concrete block piers built by a licensed masonry company. Home is dried in with Pella windows and gorgeous cedar siding. Split bedroom floorplan with 2 full baths. Large dining space between the spacious kitchen and living areas. Rear entrance to a combination mud room / laundry. HVAC duct work installed for gas pack central heating and air conditioning. Complet"
"AFFORDABLE, SITE-BUILT getaway home on 1.68 ACRES adjoining national forest land and located in a quiet neighborhood. Full bath and kitchen completed just a few years ago. 900+ /- SF DAYLIGHT BASEMENT could be finished for a 3rd bedroom, used as a project / hobby room or workshop, or garage. Established wine grapes for the wine making enthusiast. Concrete block well pump house doubles as a utilities shed for the generator that supplies power for this property. 10KW push start Kohler propane ge"
"Affordable and move-in ready! Fully permitted & inspected through Gila County. Gently lived-in home installed by a professional manufactured home set-up company with safety-compliant front & back stairs. Brand new / never used electric range/oven; frig included. Will sell furnished (dinette set, couch, love seat, 3 beds, . . .) Detached, combination 2-car garage / workshop with 3/4 bath, laundry hook-ups & water heater - washer / dryer inclu. 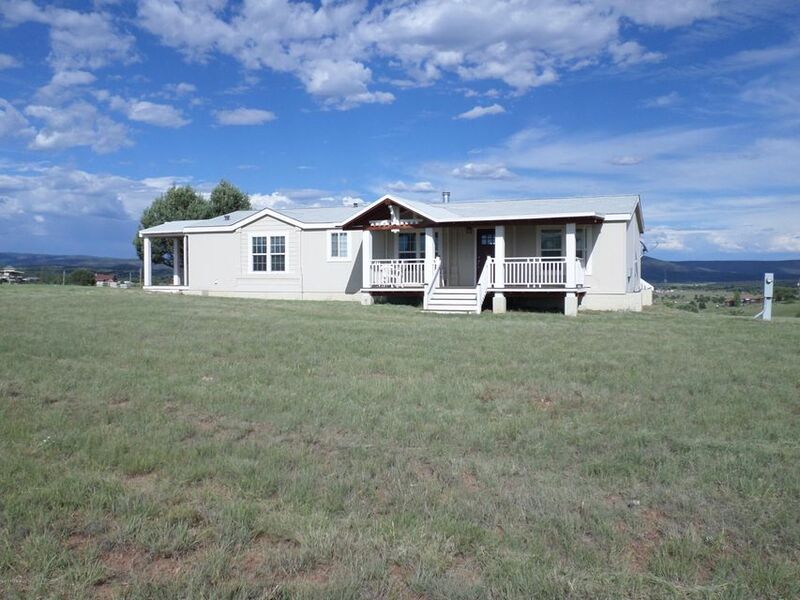 High producing, private well can be used to water a"
"Country charm cabin, a 1 bedroom 1 bath dining room has built-in seating, covered front porch. Large utility room off back porch. Detached workshop with ac and heat. Seller will include furnishings." 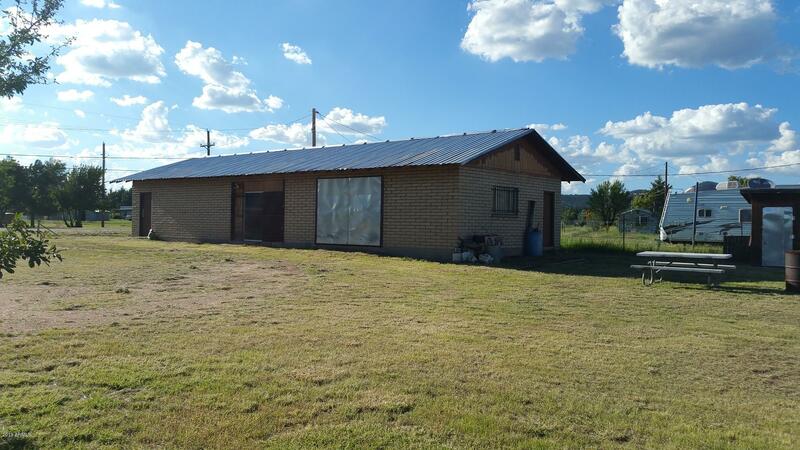 "ON THE HWY, 1BR 1 BA HOME OR LIGHT INDUSTRIAL BUILDING. 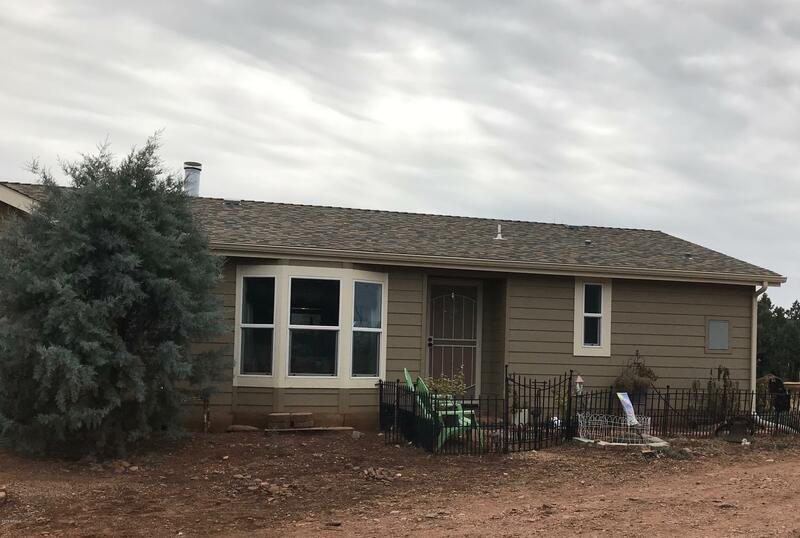 Spacious 62' x 24.5' slump block 1500sf with metal roof, bay door, attic, concrete flooring, iron-grated security window covers, two 220-amp outlets, florescent lighting. Includes existing private water well with newer 1/2 hp pump, new 1'' poly pipe, & wiring installed 12/2016. 1 bedroom (or office)/1 Bathroom with tub. Building is partially dry-walled, needs repairs. Property is AS-IS $60,000. OWNER MAY CARRY"